Mary Claxton joined the Little Kids Rock team full-time as the Colorado Director of Programs in August 2017. Previously, she was a classroom teacher for five years, and began work as a Little Kids Rock teacher trainer during that time. She now works directly with teachers and administrators across the state and is thrilled to be working with Governor John Hickenlooper’s Take Note initiative to bring music education to every student in Colorado. Mary has a Bachelors of Music Education from the University of Wisconsin-Eau Claire and is currently pursuing a Master of Music in Jazz Performance at the University of Northern Colorado. 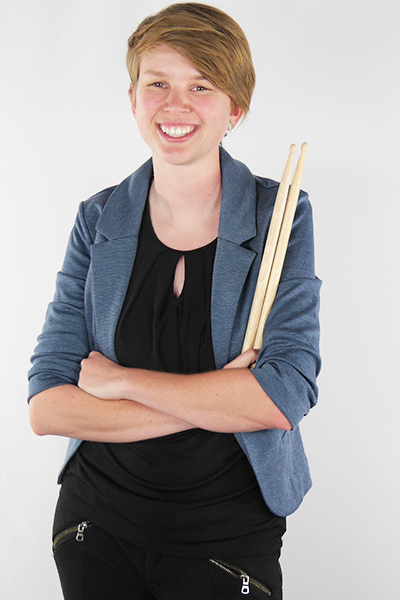 She gigs regularly as both a drummer and a vocalist and enjoys spending time outdoors with her family.